We are small & quaint. Family owner & operated, our wines are created hands-on by the owners, in small quantities for quality control. A combination of soil, sun, vine & man, our wine is an expression of the area it comes from. 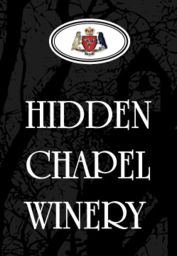 Visit our cheery tasting room, unique underground cellar & finally, the Hidden Chapel nestled in the pines surrounded by lush gardens. By appointment. For six of more people, call the winery.